Our Secondary School extracurriculars activities are centered around the IB Creativity, Activity and Service component (CAS). At SSIS we believe that through CAS our students are able to enhance their personal learning outside of classroom experiences and alongside our academic programmes. Participating in extracurriculars provides an opportunity to collaborate with others and fostering a sense of accomplishment. At the same time, CAS is an important counterbalance to the academic pressures of our rigorous IB curriculum. Secondary extracurricular activities are led by our dedicated teachers with skills and expertise in these areas. Activities may run as whole year program, by semester or as part of a dedicated sports season. A reduced 5:00 pm late school bus service is available for students to travel home on days when they have activities. Please note this service does not take students to all compounds. The “C” in CAS stands for CREATIVITY. This is defined by the IB organization as arts and other experiences that involve creative thinking. Our Secondary School offers a vibrant creativity programming that includes our visual arts department, music ensembles, drama productions, publications team, and academic clubs such as our debate team and Model UN. Our visual arts department is comprised of talented and passionate teachers who direct students across several styles of art. From sculpting to paint on canvas to photography, the possibilities are endless. Each year our Grade 11 and Grade 12 display their work in a New York-style gallery format, bring their creations front and center to be displayed and admired by the SSIS community. Select pieces are also available for sale. We have many music ensembles at SSIS. A few highlights include our Taiko (Japanese) drum group, our concert band, the SSIS orchestra, the Secondary choir, and the popular Ukulele Ensemble. 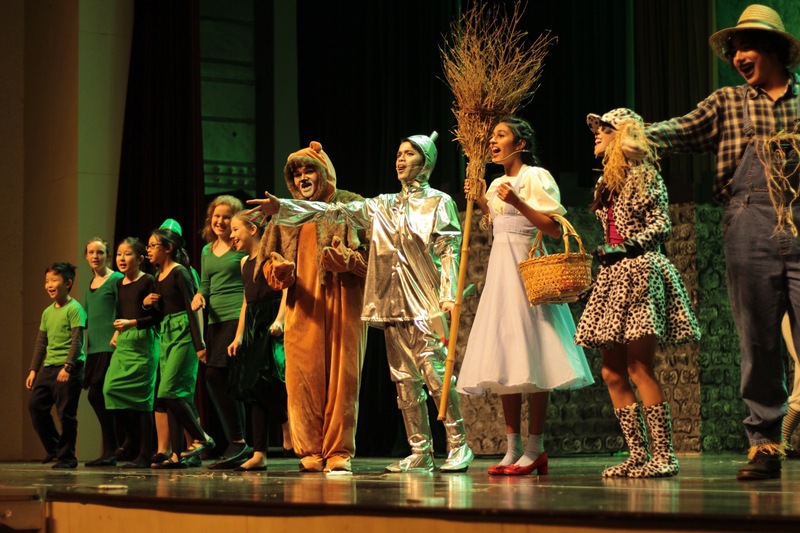 Students perform at several school functions throughout the year, compete in local music battles and often put on shows for the greater SSIS community. For students who love theater, we have a strong drama department that takes full advantage of our black box theater and 650 seat auditorium. From improvisation workshops, opportunities to audition for our annual productions or star in a melodrama, there are many chances to shine. In previous years students have performed classics such as James and the Giant Peach, The Wizard of Oz and A Lad in Pants. Our publications team works hard each year to put out an amazing yearbook, highlighting everything that has happened that academic year. In addition to the huge task of putting together the yearbook, our students can often be found photo documenting school events, putting together Hollywood style videos and writing articles for the weekly student blog – Dragon Press. SSIS is a proud member of ACAMIS (Association of Chinese and Mongolian Schools), who hold an annual Cultural and Arts Festival. The festival is hosted each year by a different school in the ACAMIS network and enables our students to participate in a series of workshops while showcasing their unique works and talents. The “A” in CAS stands for ACTIVITY. The IB organization encourages all students to participate in sports or a physical activity with the theory that physical exertion contributes to a healthy lifestyle and complements academic work. At SSIS we believe that sports play a key role in developing balanced students. This is why we place a strong focus on our sports programming, encouraging all students to participate in the team sports we offer. Our school has fantastic sports facilities that include four indoor basketball courts, a brand new FIFA-certified soccer field, a competition sized swimming pool, tennis courts and multiple indoor spaces for fitness and dance. After school you can usually find our students practicing their jump shots in the gym, perfecting their backstroke in the pool or trying to outrun each other on the track. We are proud to be a “no cut” school meaning all of our secondary students have the opportunity to participate on any sports team they wish. Core team sports in Volleyball, Basketball and Soccer have a full season of home and away games while other sports including Badminton, Cross Country, Tennis, Touch Rugby, Track and Field have a series of lead up events and culminate with season ending final event. We provide our student athletes with the strongest level of competition available in the region through our affiliations and partnerships with SISAC, ACAMIS and CISSA. The Shanghai International Schools Activities Conference (SISAC) aims to provide season-based sports competitions and events in a well-chaperoned environment for students of international schools in the greater Shanghai area. We are honored to be the only Suzhou school that participates in the Shanghai International Schools Athletic Conference. The Association of China and Mongolia International Schools (ACAMIS) is a highly competitive international league that allows our students to compete against other high-caliber international schools across China. We attend ACAMIS events all over China and tournaments tend to span 2 or 3 days. It is a great place for our student athletes to grow as individuals, improve their skills and compete against talent nationally. China International Schools Sports Association (CISSA) emphasizes involvement for all international schools and fosters individual and team excellence in a co-operative, friendly and enjoyable environment. The CISSA league includes other schools from Suzhou and Shanghai. It’s an excellent opportunity for our students to compete with other international schools and have fun! Our Senior Secondary sports teams have had great success in recent years winning ACAMIS championships across a variety of sports as well as several SISAC championships. Go Dragons! The “S” in CAS is for service. This aspect of an IB education is classified as an unpaid and voluntary exchange that has a learning benefit for the student, while the rights, dignity and autonomy of all those involved are respected. In our Secondary School we provide an abundance of opportunities for our students to give back in any way that is meaningful to them. Over the years we have developed strong partnerships with various community service organizations, not only on a local level, but globally as well. Whether there is a passion to help animals, the planet, or others, we have over 15 different service groups available for our students to join. Our Paws4Cause Club works with local animal shelters and area groups to help vaccinate and place strays for adoption. Each year the group organizes a blanket drive to be donated to shelter for animals in need. Many of our students are involved with Animals Asia, a Hong Kong-based charity that seeks to end cruelty to animals. In the past this group puts on an impactful photo demonstration in our foyer highlighting the effects of animal cruelty. Yearly our South Africa Vastfontein Project group (SAVP) work to serve orphans at a school we sponsor in South Africa. The club travels there each year to visit the students, volunteer in the local school and bring supplies to the community. Locally, we have strong relationship with the Xi Yang Hong Retirement Home where our students often visit to provide companionship and beauty services to the residents. 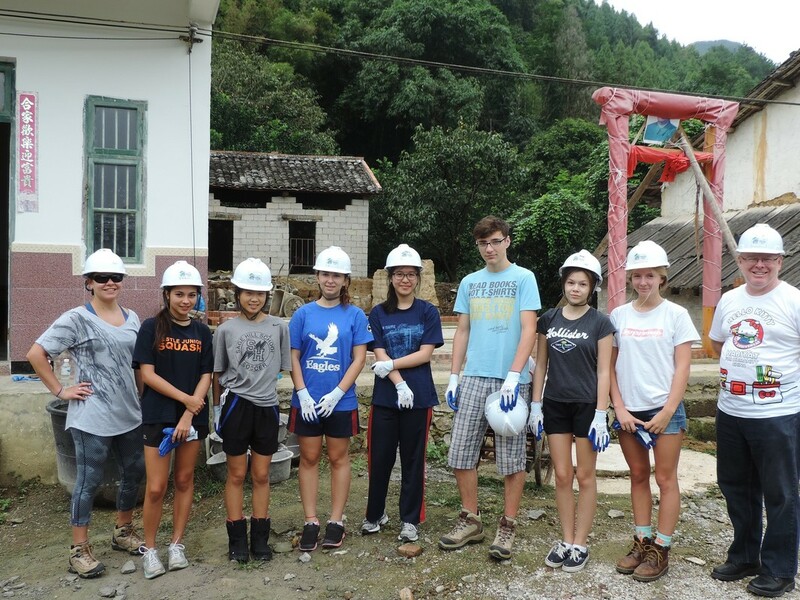 On a larger scale, our Habitat for Humanity group has gone far and wide building homes for those in need. On high AQI days it’s hard not to be compelled to help the planet. Our Million Tree Project group works to do just that by planting tress locally and on a global scale. Recently they travelled to Mongolia to lend a hand in planting dozens of trees. However, showing responsibility towards our environment happens every day at our school with the help of our Recycling Club which contributes to the organization of our recycling program and sends out reminders on electric use, food waste and plastic over-consumption. Service clubs tend to meet during lunchtimes and on different days of the week. From waffle sales in our foyer, to organizing the annual Giving Tree gift drop or planning the SAVP fundraising dinner, there is no shortage of ways to give back at SSIS.